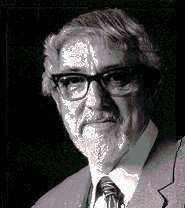 Leonard Salzedo, the most Spanish of British composers, died on 6 May at home in England. Known for his distinctive ballet music, all of Salzedo's music is bright with rhythm and full of movement. Born in London on 24 September 1921, Salzedo was of Spanish/Jewish descent, and it was apparent early that he was destined for a career in music. He studied violin from age 6, began to write music at 12, and his wartime studies at the Royal College of Music (including composition with Herbert Howells, orchestration with Gordon Jacob and conducting with George Dyson) attracted several prizes.